Roof Repair vs Roof Replacement: Which do I need? | 41 Lumber - Serving Iron Mountain and the U.P. Replacing the roof is something that most homeowners dread. The average national cost for tearing off and replacing an old roof in 2014 was nearly $12,000. The good news is that this expense does not come along very often. Regardless, if you are starting to notice problems with your roof, then you may be faced with the dilemma of whether to just repair it or replace your roof altogether. Asphalt shingles generally last around 20 years. Wood can last up to 30 years. Metal roofing generally lasts around 50 years. Tile roofing is good for 100 years or more. Slate roofing is good for 100 years or more. Below, we will include some things to look for that will help you determine what level of action you will need to take in order to restore your roof to its proper condition. If you see water spots developing in your ceiling. This may reoccur, though infrequently and in only one or two small areas of your ceiling. If you’ve noticed a leak at any one point in your roof. Especially after heavy rain. Often, this occurs along the flashing. If a recent storm or high winds has caused visual damage in a particular area. How much longer do you honestly plan on living in the home? If you don’t plan on staying there more than a couple years and the overall roof is generally in good condition, it may make sense to focus more on repair than replacement. As with above, if the roof is relatively good shape and your financial situation is such that replacement would be difficult, a repair can be an acceptable choice. 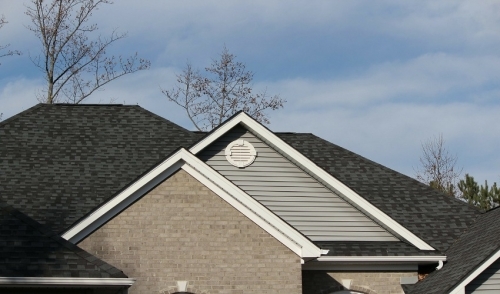 When roof replacement is the best option, the problems are usually more obvious. Generally the overall condition of the roof is more deteriorated and/or damaged than in the above situations. If the water spots are developing in three or more different areas of your ceiling then this could indicate a more widespread problem. If your leaks cover a larger, more widespread area. If your roofing material has pieces breaking off or is becoming cracked. If the condition of your shingles or roofing materials are such that they can be lost in high winds situations. For asphalt shingles, look if they are curling up on the corners and won’t lay flat. In situations where there is damage and your homeowner’s insurance will cover replacement, then it makes sense to go ahead with replacement at this time.